Jobi, Gonzo's Dad at Age 11! 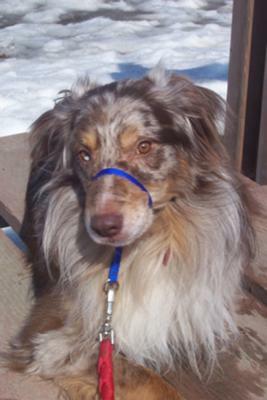 Gonzo is a 4 yo neutered red merle male Aussie out of Pincie Creek lines. His mother is from working lines in Montana. 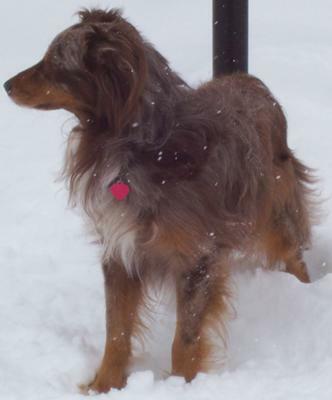 He has a strong herding drive that has not been utilized thus far due to our being Air Force & moving around all the time. 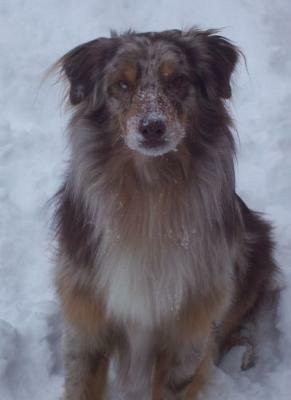 Thus far, Gonzo has been our families wonderful companion & playmate. I've taught him some neat tricks (back, roll over, hi-five, crawl, & I am currently working on play dead!) but want to do more. SO, I have been working on training him to pull a cart which will eventually lead into pulling a sled.